Why is Facebook Retargeting such an important topic, right now? Facebook Retargeting is THE hot thing right now because it offers a way to nurture, engage and ultimately convert the other 98%. And no wonder … AdRoll reports its clients are earning $10 for every $1 spent on retargeting! But who has time to figure it all out? COMING SOON – Members will have exclusive access to a private community of their peers as well as Sync2CRM’ers. You’ll definitely want to ride the wave of this new trend … effortlessly stay on top of what is new and emerging in terms of latest strategies, best practices and tools so that you can increase leads, conversions and ROI. 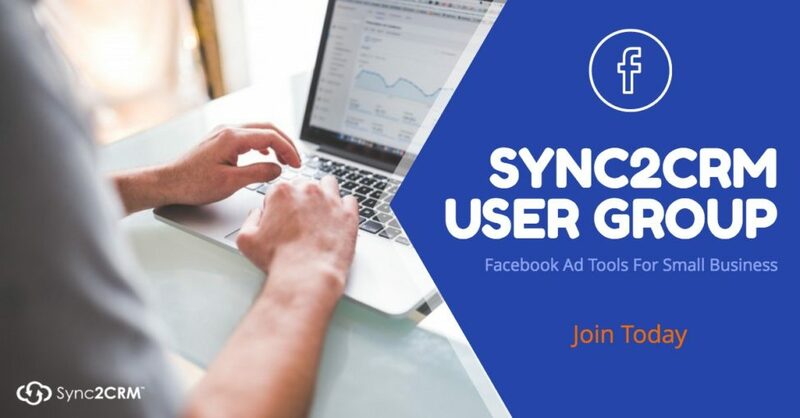 The NEW Weekly Facebook Retargeting Workshop is included with most Sync2CRM Plans. Already a Sync2CRM user? Register here and email me a topic you’d really like to know more about, while you are at it. Not already a Sync2CRM user? Sign up for a free 30 day trial today. Kim is my go-to Infusionsoft mentor. My search is over!